Sacred Falls really was a super race horse. As a three and four year old he won the prestigious Doncaster Handicap Gr.1 and was the first colt in 50 years to win back to back Doncasters. Interestingly his progeny are turning up at the same time of year with two very impressive trail winners over the past 5 days. 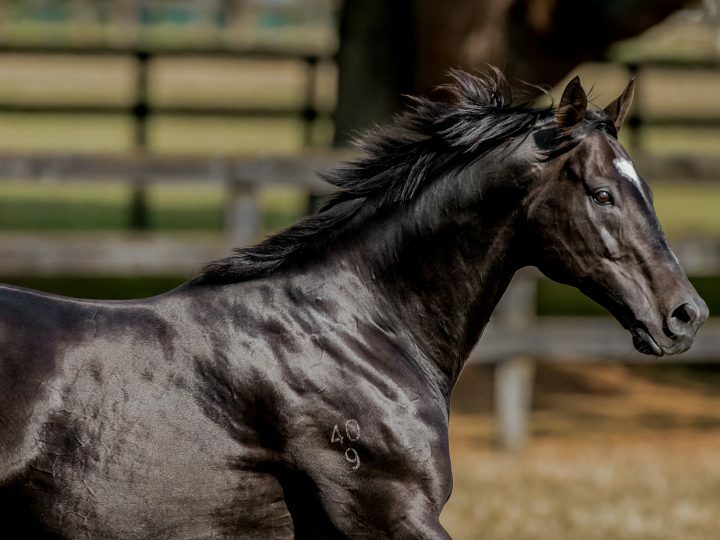 Firstly, a well-related son of Sacred Falls raced up to his pedigree with a tidy trial-winning performance at Avondale in New Zealand this week. A winner of both trials to date, the colt jumped well in his 800 metre heat to sit outside the leader before going to the front before the turn. Under little urging from rider Sam Collett, he maintained control and went to the line with three-quarters of a length to spare. The youngster is a son of the stakes-winning Pins mare Glam Slam, a sister to the Group Three winner Crepe De Chine. Secondly, at Rosehill yesterday, a Sacred Falls colt O’Mudgee won a 900 metre heat trail in the Ridden by Jason Collett, the youngster sat on the speed and ran home nicely under his own steam to score in the fastest trial of the day. We have mentioned previously the O'Reilly Pins cross and how impressive it is and we do urge you to take the time to consider a filly by Scared Falls out of a Pins mare who we currently have a few shares left in. She is a very nice animal that ticks all the boxes on both paper and on type. On Saturday we have two Sacred Falls sired horses to keep an eye on. The first is Sacred Falls's first ever trial winner Khitan Warrior. He is a two year old gelding out of J'lo (Unbridled's Song). He lines up at Riccarton Park NZ in race 2 at 10:27am EST.. The second one is Holy Dancer a two year old Filly out of Metropolitan (Elusive City) who lines up at Morphettville in race 1 at 1.06pm EST. Please contact Neill neill@championthoroughbreds.com.au for more information.